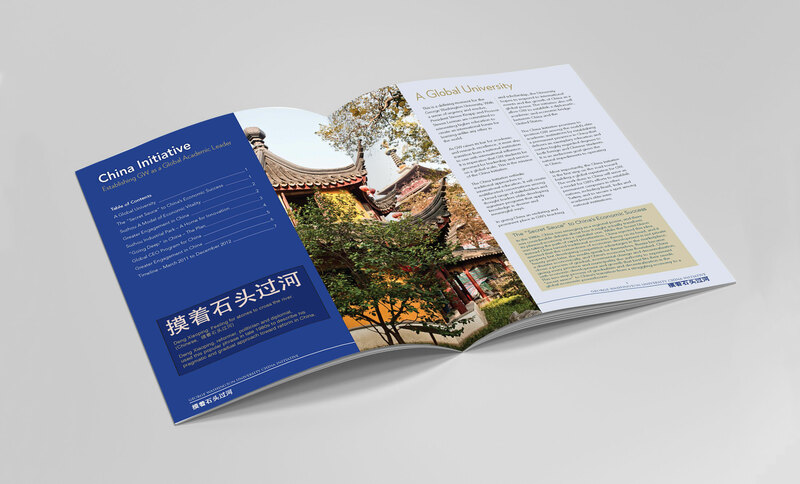 To participate more fully in the evolution of the global economy, major universities are establishing international footprints. 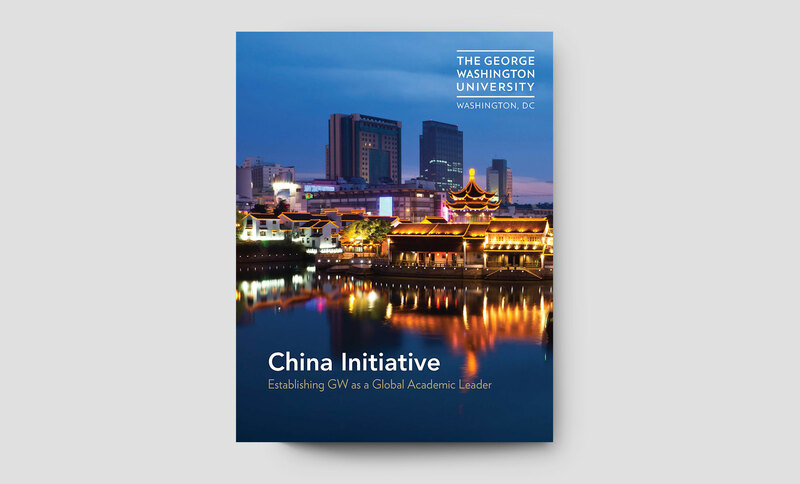 The George Washington University in Washington, D.C., is no exception. 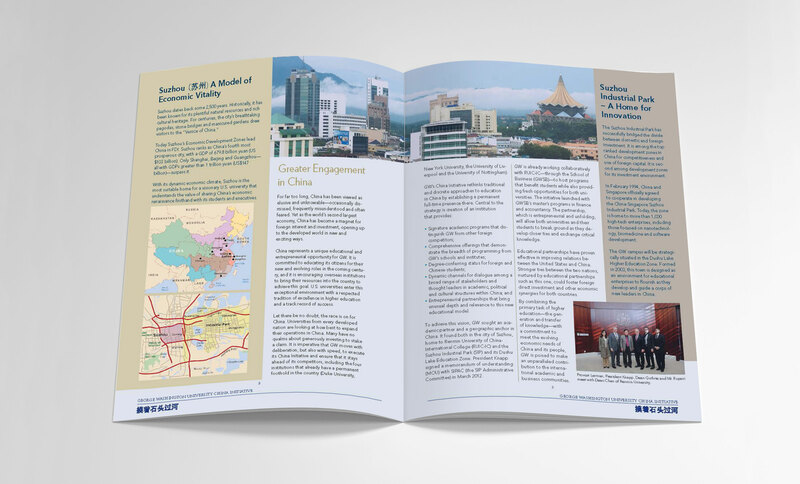 Its acclaimed School of Business, which is recognized for scholarly research, teaching excellence and innovative curricula, opened a campus in China to expand the university's international operations. 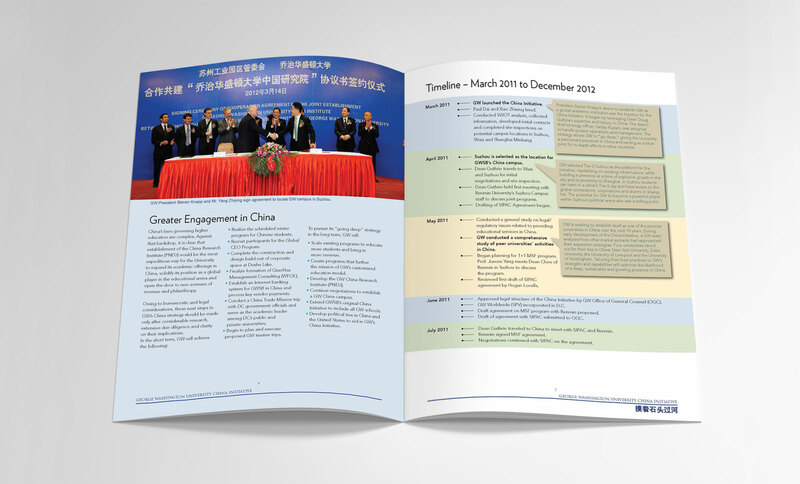 Seaberry was commissioned to design the “China Initiative” magazine, the marketing cornerstone of an initiative in education expansion that established the School of Business as an academic leader in China.